Musings of a Citi Sketcha: Starbucks, Liat Towers. Wow. 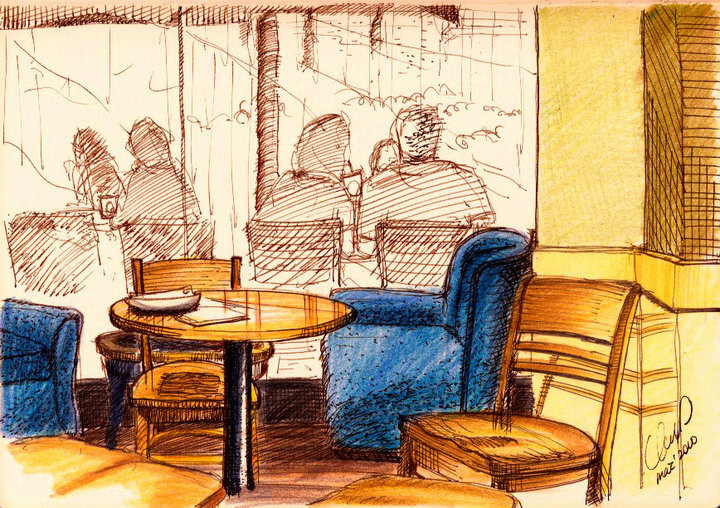 Your first sketch is of Starbucks. Yes, very observant of you. This was just a few months before the now infamous flood. Oh really? I think you would have felt even worse during the flood.